The Dalmation Pelican is the largest of seven species of pelican. They can grow up to 1.8m in height and have a wingspan of over 3m when fully grown and weigh approximately 15kg. Their diet consists mainly of fish, including carp, perch, trout and eels but they have also been known to consume crustaceans, cephalopods, molluscs and amphibians. Pelicans live in small flocks and catch fish by working together. Adults will form monogamous pairs. They create nests using vegetation on floating or stationary islands fastened together with their droppings and their nests can be up to 1.5m in diameter. Between 2 to 4 eggs can be laid at one time and are incubated for approximately 31 days. 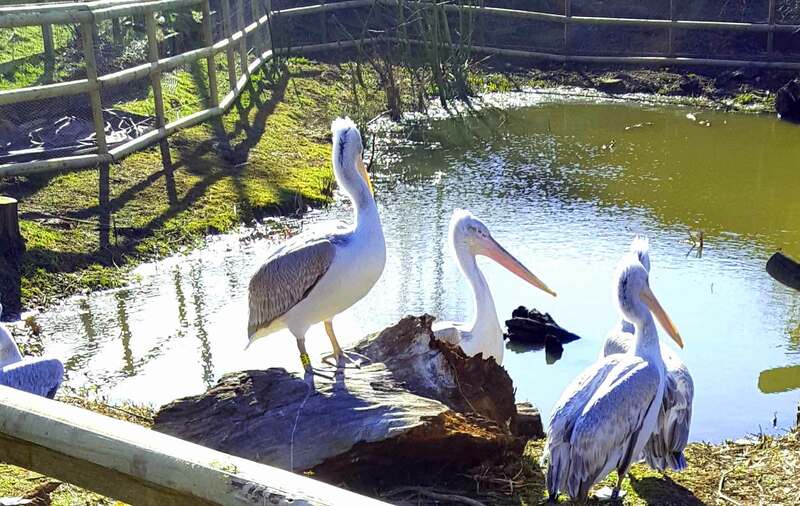 Young pelicans are born without feathers and after 8 days a white woolly down appears. Pelicans have an average life span of 35 years. The Dalmation Pelican is found in Eastern Europe and East and Central Asia and are known to migrate to warmer climates for breeding purposes. The International Union for Conservation of Nature’s (IUCN) status of the Dalmation Pelican has recently gone from ‘vulnerable’ to ‘near threatened’. Conservation measures have resulted in a population increase in Europe with the largest colony of these birds residing in Greece.